Where to Buy Quickstrike Fly Bait Station, Starbar Fly Bait Station - $10.55 for Sale with Fast Free Shipping! Starbar Fly Bait Station makes the use of scatter baits easy by reducing the associated mess and exposure concerns due to spreading the bait over the open ground where children, pets and livestock may come in contact. Simply use one ounce of product per bait station. Attracts flies within a 250 sq. ft area. Simply made but it works fantastic. It has a ridiculous range so it's great for large areas like the barns that we own. All it requires is some bait and you will see a massive number of flies flock to it. 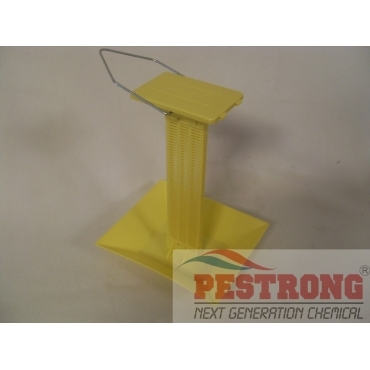 It holds a good amount of bait which is necessary for the amount of flies one bait station will be luring.